How to Manage Your Sales Pipeline? First let us define what sales pipeline actually is? Sales pipeline is a visual presentation of amount of sales or business done by your company over a period of time and also visualizes your prospects lifecycle. In other words visualizing your sales process and depicting the health of your sales prospects. Sales pipeline stages are different for different businesses according to their objectives, products and services. So, all businesses have different methodologies of dealing with their sales pipeline. Different businesses have different sales pipeline stages, which is why it is important that each company defines it sales processes in a formalized way. This makes the sales objectives more predictable and standardize. The main focus of the sales process should not be only from sales point of view, but should also consider customer perspective. The sales process should be unique and also easily comprehensible by your sales team for using. Once you have defined your sales pipeline, it is important that you employ resources for management. Train your sales team in a way that they effectively and efficiently manage your sales pipeline. 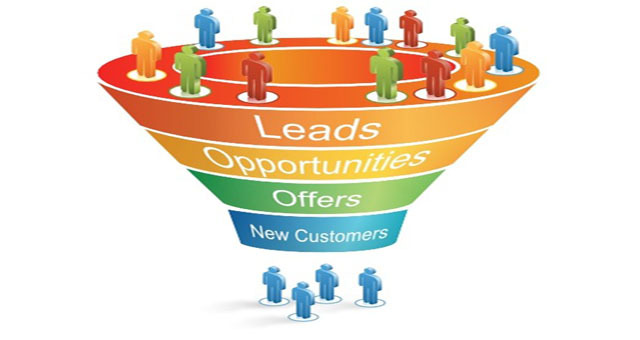 You need to implement CRM system for tracking your sales pipeline. Hire the best sales manager, who knows how to make team handle and implement all strategies as well tools effectively. According to Forbes survey, companies that spent more time on managing sales pipeline, saw 14% more revenue growth than compared to those who spends less time. Measure everything that is coming out from your sales pipeline, if you are not doing that then you are just shooting in the dark. Measurement of results at every stage is crucial, it lets you know what improvement is required at each stage and what your sales team performance is. You need to have proper measurement metrics, which lets you analyse and improve your sales pipeline. You need to measure and know factors that leads to closing of your deals. There needs to be consistent follow up as it is critical for any business. You need to document all your follow up actions for each and every prospects and clients. You can maintain your follow up actions in a CRM system, you need to add proper description for all your actions and then you need to track and complete these actions. CRM system like Xobber, which comes with automation like reminder prompting, etc. assists in follow up. Now when you have tracked key information and actions required from each stage of sales pipeline, you need to analyse them and make road-map for your business success. You need to follow the path which lead to sales success and avoid or improve the ones where you lost sales. You need to make list of “do’s” and “do not’s” for your sales team. In today’s competitive world, knowing ways of managing your sales pipeline is important and over growing. Without sales, a business cannot survive. Defining, managing, tracking your sales and analyzing sales pipeline directly increases your sales. To manage your sales pipeline in a best possible you also need to invest in a right tool. Xobber is a one such CRM tool which can let you manage your sales pipeline, in a way that yields the best output. You can have all the content and measurement and reports at the right place with Xobber.